A pastor who is also a politics professor examines current issues pertaining to sexuality and society and asks, What kind of world are we creating? And is it the world we want to live in? 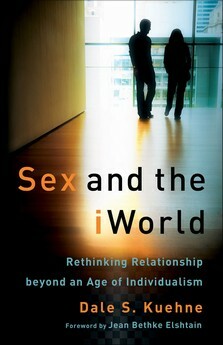 With no finger-pointing, and a cordial openness to responses from all points of view, Dale Kuehne contrasts the “tWorld,” in which traditional morality reigned and recent innovations would have been inconceivable, with the post Enlightenment “iWorld,” in which these innovations are promoted because the perceived immediate needs of the individual are paramount. Both, he finds, fall short of the “rWorld,” the larger web of healthy and nourishing social relationships that provide the context for a biblical understanding of individual sexuality. This book will transform the conversation on sexuality among college students, campus ministers, church and ministry leaders, and all readers with an eye on culture and public policy. 10. Where Then Shall We Live: The iWorld or the rWorld? To order the book on Amazon.com click here.